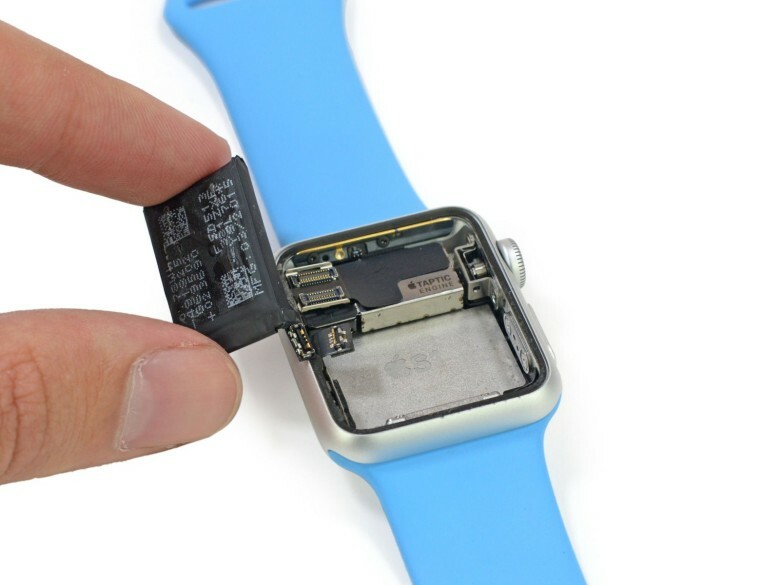 An overcharged Apple Watch battery can begin to swell up. If this happens, it needs to be replaced. The battery in an Apple Watch 2 can fail, and even swell up. This is a rare problem, but Apple will fix the watch if it occurs. Swelling is a problem that has long plagued lithium-ion batteries from laptops, phones, and other electronics. The only fix is a replacement of the battery. This offer applies only to the 42mm Apple Watch 2. The offer is good for up to three years after the date of purchase. The details of this repair policy can be found in document SN4534 in Apple’s internal GSX portal, according to MacRumors. Lithium batteries swell because gasses are building up inside. The gas comes from oxidation of battery’s electrolyte (the chemical that allows electricity to flow between the cathode and anode). The root cause is the battery being overcharged. Apple designs its devices to prevent this from happening, so the flaw is in the design, not the way the wearable is charged. Still, it happens from time-to-time. This issue may cause the battery to fail before it starts to swell. That’s the best-case scenario because a bulging battery often damages the Apple Watch’s casing and/or display.